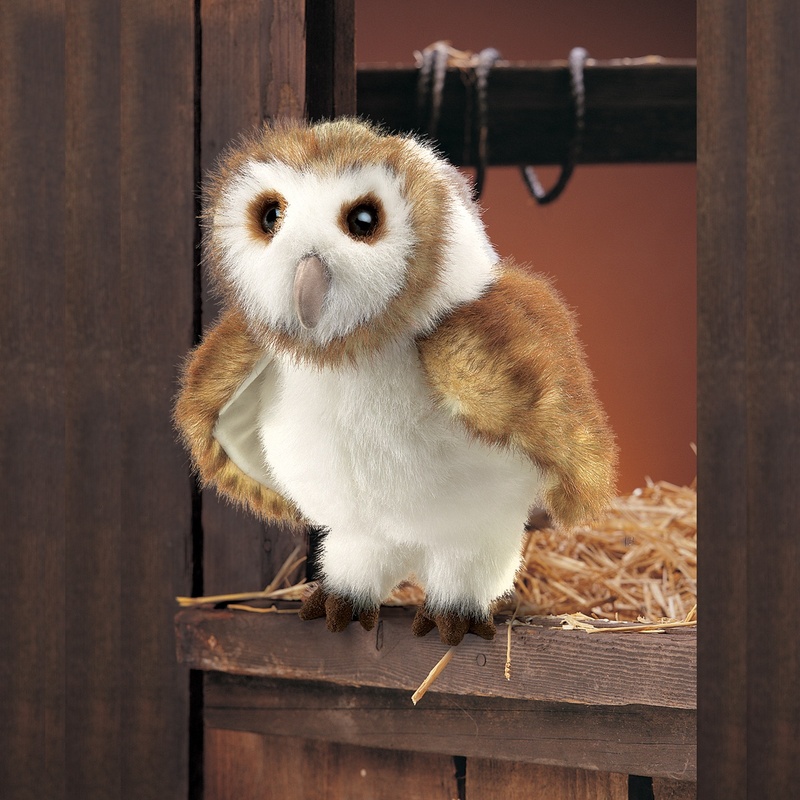 Barn Owl Hand Puppets by Folkmanis Puppets Inc. Barn Owl Hand Puppets by Folkmanis Puppets Inc.
Home > Folkmanis Puppets > Hand Puppets > Barn Owl Hand Puppet by Folkmanis Disc. 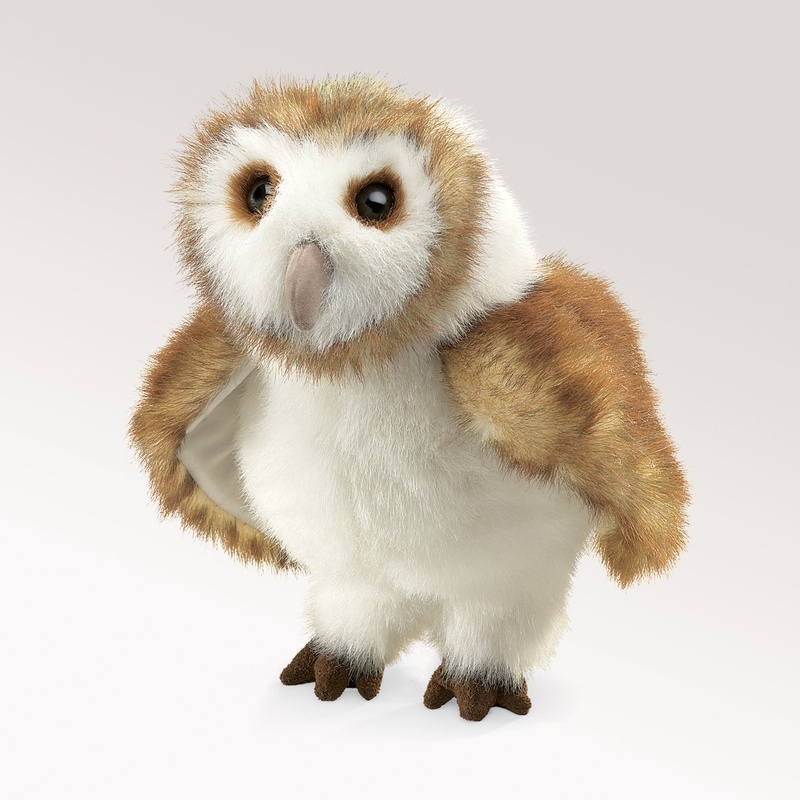 The large Folkmanis barn owl puppet is 10 inches (25.4 cm) tall, 8 inches long (20.3 cm) and 6 inches wide (15.2 cm). The soft simulated feathers are brown, gray, and white. You can flap the wings and move the head forward and back. Does not have a movable mouth. Released in 1998 and discontinued in September 2016. Q: How many Folkmanis barn owl puppets do you have in stock? A: Very few. Maybe 2 or 3 at this time. This puppet has been discontinued at the manufacturer since Sept 2016.